Picking a rug for your living room can be a difficult decision, after all, it's likely to be the most used space in your home. There are many boxes to tick when it comes to choosing the best rug for your living room such as size, shape, style and even the 'wow factor.' 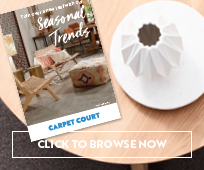 All in all, it's important that your living room rug makes a statement and being Australia’s largest flooring retailer, you are sure to find the perfect solution at Carpet Court. 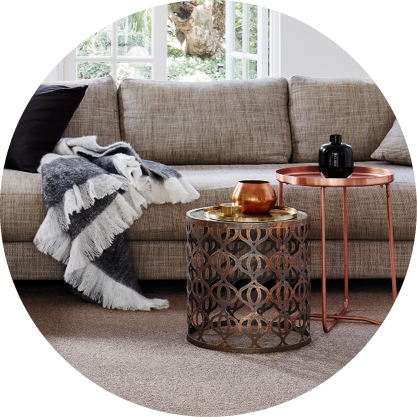 Browse our extensive range of rugs and make a statement in your living room today! How can you pick the best rug for your living room? Variety is the spice of life, as the saying goes, and an extensive variety of rugs is ready to spice up any room in your home from Carpet Court online, or from selected stores. Thick and luxurious pure wool rugs, soft and steadfast synthetic fibre rugs, patterned, plain, round and rectangular – you are spoilt for choice when shopping for rugs at Carpet Court. Which means it is both easy and hard to pick the BEST rug for your living room! Size does matter! Possibly the most important criteria in choosing a rug for your living room is getting the size right, because the rug helps to define the living room space. Rule of thumb when it comes to rugs - big is better. Will your rug be the superstar in the room or the best support actor? 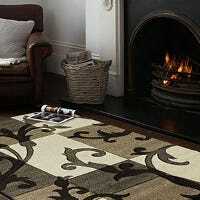 In other words, do you want the rug to be the focal point in the living room or to quietly complement other features? 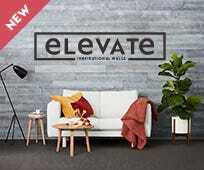 If you want the rug to stand out choose bold shapes, colours, designs and fibres that you love, and allow the remaining interior furnishings and features to blend in. 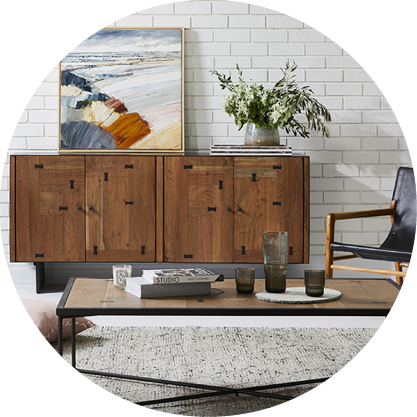 If you want the living room rug to complement other stand-out features in the room tone the rug right down, focussing on neutral designs and subtle, natural colours. Don’t tone down the size though! What sized rug should you choose for your living room? The best rug for your living room sits beneath the sofa and extends well past either side. It should also include the side tables and the coffee table, as well as part of any lounge chairs. Your living room rug may even be almost the same size as the room, with a perimeter of flooring exposed. Alternatively, your living room rug may be the same width as your sofa, but sit in front of the sofa and include the coffee table. A small rug, one which doesn’t encompass the living room furniture to some degree, will look insignificant and out of proportion to the room, making your living room appear small and poky. 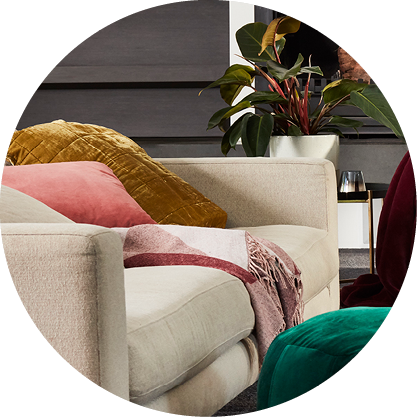 What colour and style is best for your living room rug? Our rugs are bursting with vibrant colours or soothing with subtle earthy tones so if you want a rug to act as the base offsetting your chosen interior style, choose from the many natural hues in block colours or with minimal colour variations. If you want a vibrant, statement rug to be the living room’s pièce de résistance, select your new rug from our bright, bold and colourful range in a variety of patterns and textures. Should you choose a soft rug for your living room? Choosing the texture and fibre of your living room rug is an important decision. 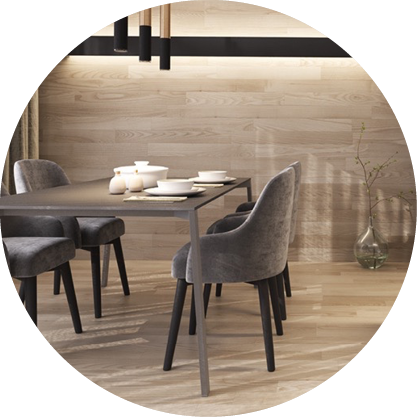 It should be based on the room and the lifestyle – is it a modern, open plan living space which receives a lot of foot traffic? Is it a busy family living room with young children and pets? Or is it a cosy living room where one might sit on the floor in front of the fire and read a book. Select a fibre which delivers the softness you require for your family’s lifestyle, but is also suitable for the conditions. Many synthetic fibre rugs are soft and durable, easy to clean and resistant to spills and stains. Pure wool is soft and, just like sheep, will endure many tough conditions. Are rugs easy to maintain? 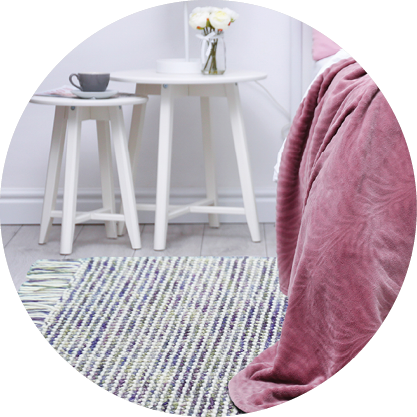 Our rugs come in a range of fibres including wool, cotton, jute, acrylic and polypropylene. The care and maintenance of your rug depends on the fibre, so ensure you always follow the manufacturer’s instructions for guidance on the easy-care maintenance of your beautiful rug.